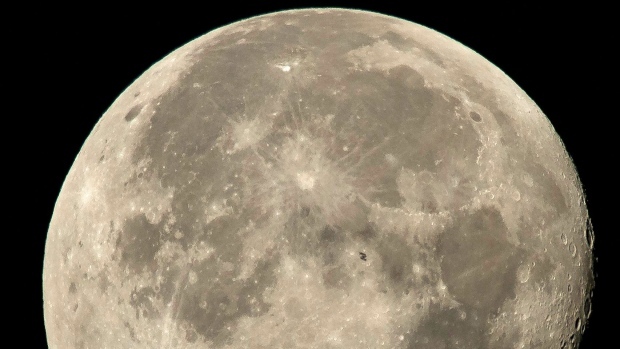 BEIJING -- China was preparing to launch a ground-breaking mission early Saturday to soft-land a spacecraft on the largely unexplored far side of the moon, demonstrating its growing ambitions as a space power to rival Russia, the European Union and U.S.
China landed its Yutu, or "Jade Rabbit." rover on the moon five years ago and plans to send its Chang'e 5 probe there next year and have it return to Earth with samples -- the first time that will have been done since 1976. A crewed lunar mission is also under consideration. China's space program has benefited from co-operation with Russia and European nations, although it was excluded from the 420-ton International Space Station, mainly due to U.S. legislation barring such co-operation amid concerns over its strong military connections. Its program also suffered a rare setback last year with the dialed launch of its Long March 5 rocket. China's latest mission closely follows the touchdown of NASA's InSight spacecraft on Mars on Monday, at a site less than 400 miles (640 kilometres) from the American rover Curiosity, the only other working robot on Mars.